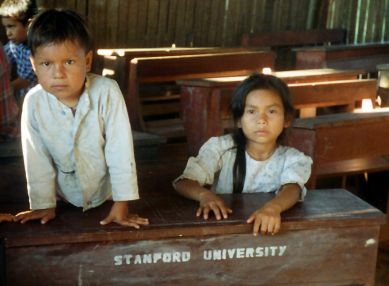 In Monte Sinai, a small village in the Peruvian Amazon, Stanford Alumni Association travelers donated money to provide supplies for the local school for one year. 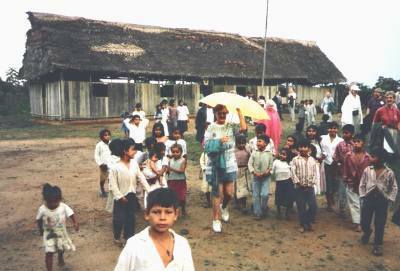 The village was so low on the government's priority list that it had no school supplies at the time the group visited. Due to the enthusiasm of the group, the money collected "on the spot" was far more than needed for just school supplies. Arrangements were made for regulation two-child school desks to be constructed in Iquitos. The ship operator agreed to deliver the desks on a later trip. On a subsequent program another group of Stanford travelers saw the desks in action.